It’s a sweltering hot summer day. You’re walking on the white-hot sidewalk, sweat pouring down your face, when you suddenly notice a jogger hunched over on the ground. You approach her and notice that she’s drenched in sweat — her eyes are half-closed and she’s mumbling incoherently. This is a serious medical emergency. 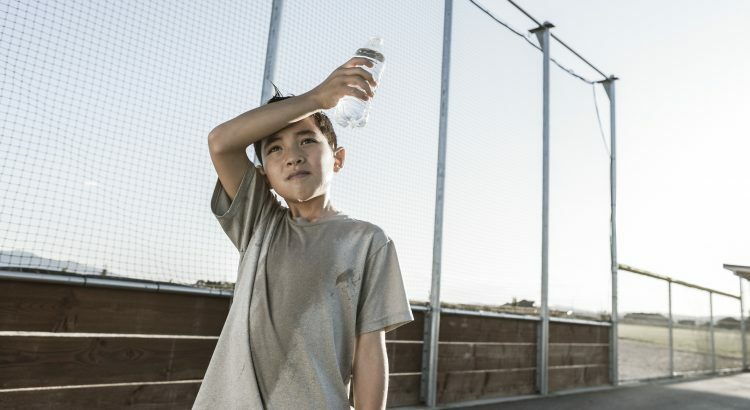 Heat emergencies occur when a person’s body overheats from hot temperatures and dehydration. It is critical to identify early signs of a heat emergency because without early treatment, symptoms can worsen and become life-threatening. Your quick actions could save a life. 1) Heat Cramps – An early sign that the body is having trouble with heat. Signs: painful muscular spasms, usually in the legs or abdomen; often heavy sweating; the patient is awake and in a lot of pain. Move the person to a shady or cool spot. If the person is awake and able to swallow, give him slow sips of a drink containing electrolytes and carbohydrates (a commercial sports drink, coconut water or milk), or regular water. Gently stretch the muscle and massage the area to relieve the cramps. If the person becomes confused or unconscious, call 9-1-1. 2) Heat Exhaustion – More serious and can become deadly if left untreated. Signs: cool, moist skin; headache; dizziness; weakness; nausea. Spray the person with cool water or apply cool wet cloths, and fan him. 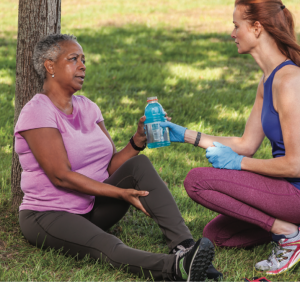 If the person is awake and able to swallow, give him slow sips of a drink containing electrolytes and carbohydrates (a commercial sports drink, coconut water or milk), or regular water. Don’t let the person drink too quickly. 3) Heat Stroke – A life threatening emergency. Signs: changed mental status (i.e. confusion, unresponsiveness, seizures); hot skin; vomiting; rapid breathing; difficulty seeing. Call, or send someone to call, 9-1-1. Move the patient to a cool area, if possible. Rapidly cool the body using ice or cold water. Consider submerging the patient in a cool bath, or place ice/cold compresses on the neck, armpits and groin. Do not pour water onto the head or face. Continue rapidly cooling the person for 20 minutes or until the person can respond to questions. Do not give the person anything to drink if they are not awake or cannot swallow. If the person starts vomiting, roll them on their side to prevent them from choking. The outline above is not a substitute for formal First Aid CPR instruction. 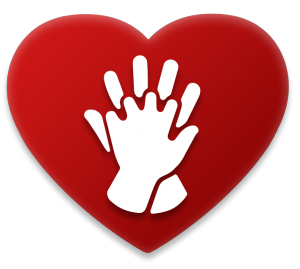 Please visit frontlinehealth.com for more information on taking a full First Aid CPR AED class.